A classic British dish, there’s nothing better than a steaming hot plate of fish and chips. 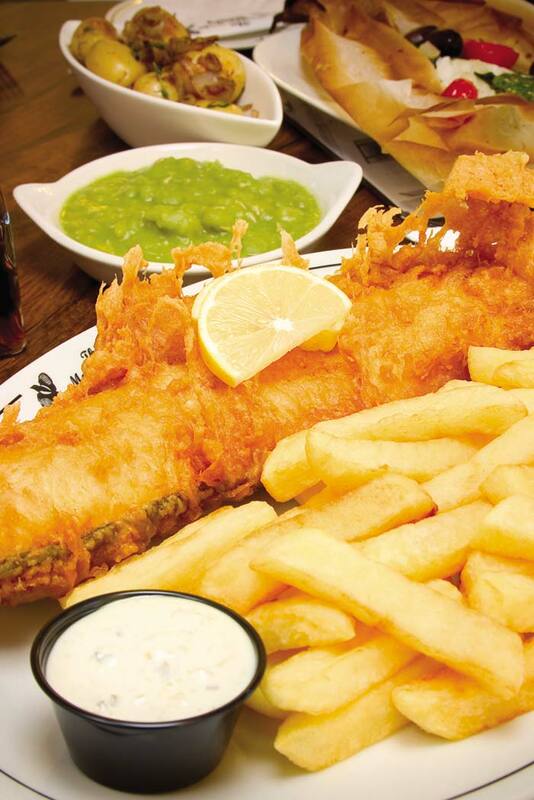 Us Brits consume millions of servings of the dish every year, proving we love nothing more than a good old chippy tea! In celebration of National Fish and Chip Day this June 1st, we’ve rounded up the very best fish and chips the North has to offer. 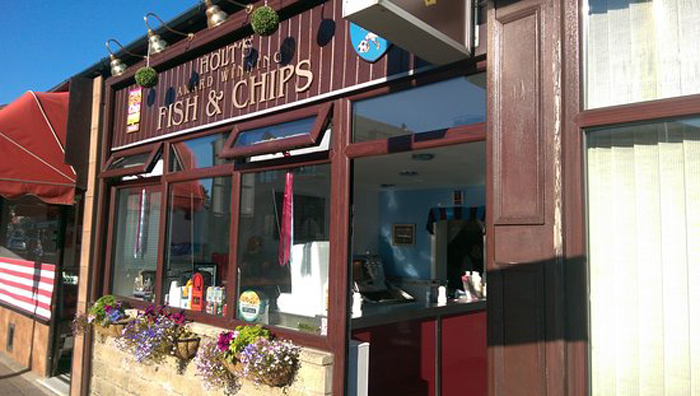 Established in 2009 by Lee Holt, Holt’s Fish and Chips is an award winning fish and chip shop situated in Nelson, Lancashire. 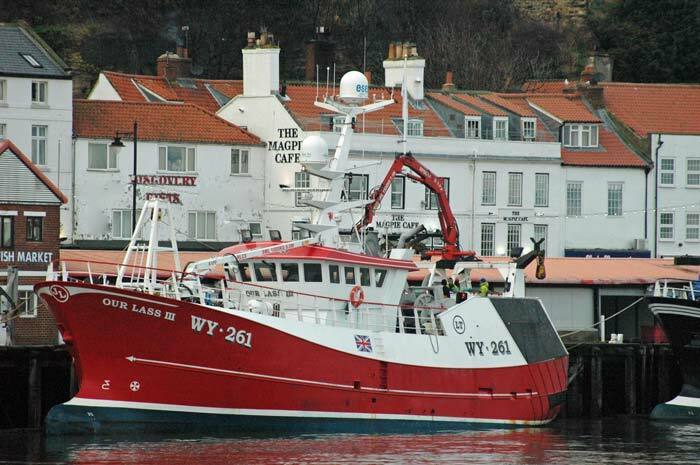 Serving the best quality fish and chips, Holt’s prides itself on using only the finest fresh fish delivered daily. Lee is passionate about using only the very best fish and ensures all of his fish is from sustainable sources. With friendly customer service, second to none, it’s not surprising that the shop has had some famous visitors including former Burnley manager, Eddie Howe and player Keiran Trippier. 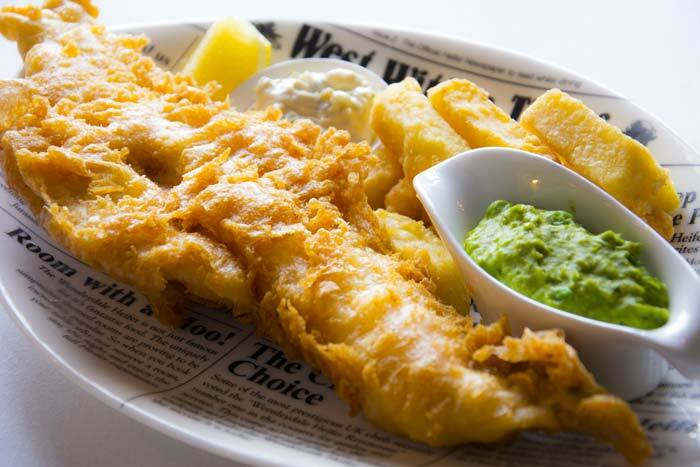 With everything you could want from a quality chippy and more including gluten-free batter and smaller portions, Holt’s is the perfect place to indulge in the nation’s favourite dish! How can you possibly improve on fish and chips? Make it bigger of course! The team at the Wensleydale Heifer are world-beating experts in doing just that – they held the Guinness World Record for cooking and serving the world’s largest ever portion of this British favourite – a whopping 101llbs! 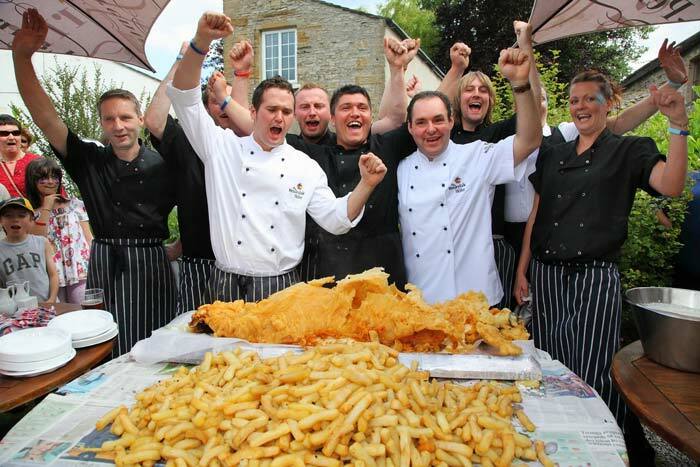 They don’t expect their guests to be able to tackle anything quite so big but, for those who can’t get enough fish and chips, they have the Giant Fish and Chips Challenge on their menu. As well as delicious Wensleydale Heifer beer-battered and locally-sourced fish, there’s a pile of delicious triple-cooked fat chips to enjoy alongside posh minted peas, crackling, tartare sauce and malt salt. Yum! For those who “Attempt the Giant” and succeed in taking down the 20oz serving (including batter) there’s a unique “I Defeated the Giant” t-shirt and personalised certificate of achievement. For those who don’t quite manage to eat it all, there’s a lovely full tummy and the unbeatable satisfaction of a tasty meal. 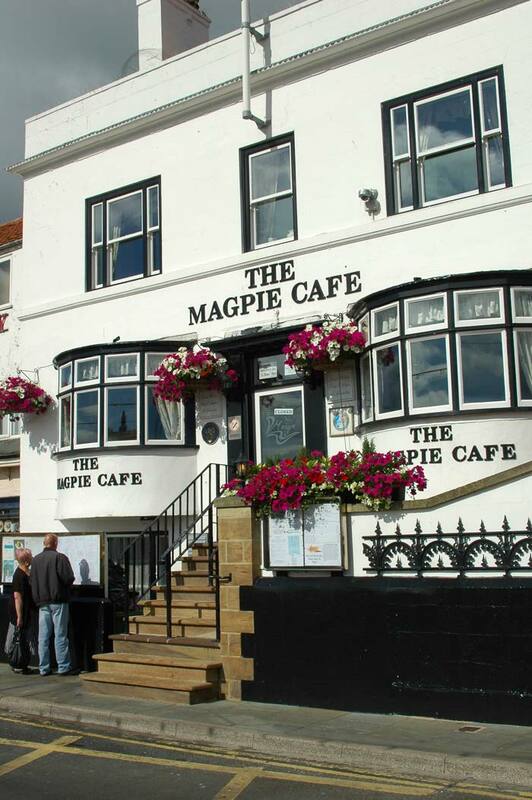 Known throughout North Yorkshire and beyond as one of the finest fish restaurants in the area, The Magpie Café is an absolute must visit when in Whitby! Housed in a distinctive black and white building overlooking the harbour, The Magpie Café offers incredible views for you to enjoy whilst delving into their exquisite food. Their fish and chips are renowned as some of the best in the area and people queue in all weather and seasons to sample the very finest fish dishes in Yorkshire. As well as a thriving café selling the very best seafood chowder, fish dishes and specialities including prime, fresh, local fish and specially selected ingredients, The Magpie Café also has a thriving take away serving all the classic chippy favourites! With the very best quality produce, incredible service and a reputation second to none, The Magpie Café is the perfect place to celebrate National Fish and Chip Day! There’s nothing better than a chippy tea and there’s nowhere better to get one in Colne than Mr Chips on Market Place. 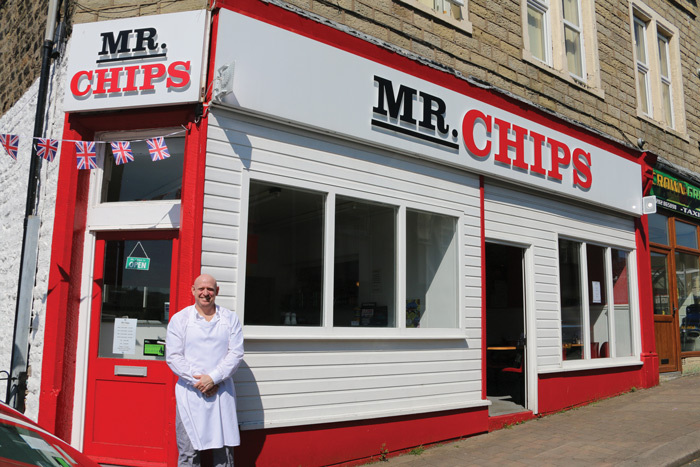 Recently taken over by chippy veteran Simon Stuart, Mr Chips offers both a take away and sit in café and Simon is preparing to take the business to new heights using his wealth of knowledge. working on the tools.” Simon smiles, “But I missed the chippy trade and I like it that much that when this one came up I went for it and got it!” And while Simon has only just taken over Mr Chips he’s already putting his own stamp on the place and is planning some specials. With all the usual suspects on offer and a few extras in the café, Mr Chips is already proving extremely popular but what is Simon’s secret to running a successful fish and chip shop? Well, after fish and chips from Mr Chips you’re guaranteed to be smiling!